The Shedgum Escarpment is a flat topped limestone hill area between Abqaiq and Udhailiyah. It is located on the right hand side of the road thirty one kilometres after Abqaiq travelling from Dhahran and is 100 kilometres from Dhahran. 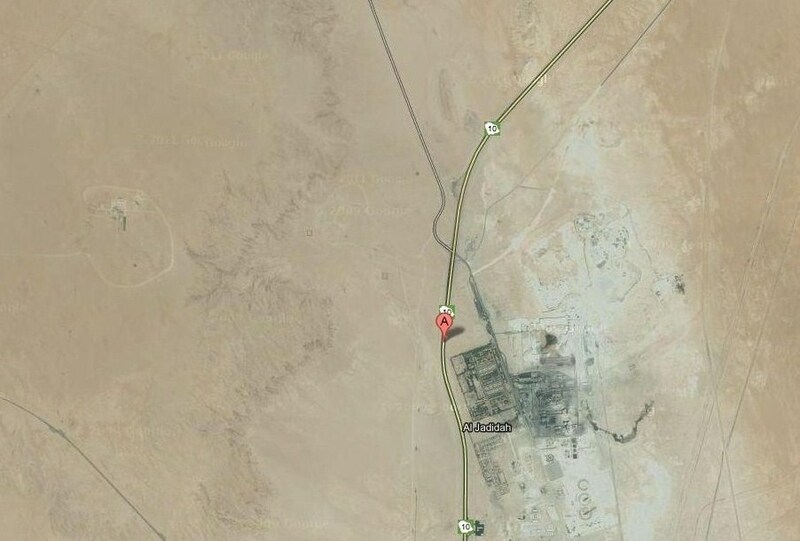 It is easy to find as it is on the main Dhahran to Riyadh road. Once you see the escarpment on the right and a large cement factory on the left then take a road off to the right. Follow the road keeping right and after a sharp right bend continue for about three hundred metres take a left turn and followed by a right turn after a couple of kilometres and drive to the top of the escarpment parking and walking around any suitable habitat. There are two lay-byes one on each side of the road and both of these are worth stopping andt amd loking around. There are also a number of wadi type run-off areas that have green vegetation at the bottom that are good for birds, although bear in mind this is a desert habitat and birds are thin on the ground. This is an interesting birding location, as well as being a fun place for a hike through the wadis. I was there a few days ago and saw a couple of white-crowned wheatears, an unidentified swift and a lot of rock doves. Also, while scrambling between the boulders of a wadi I've heard referred to as 'Scrivener's Canyon', I saw plenty of evidence that foxes live there, as well as the tracks of what could only have been a sand cat. I've never seen one of those in the wild, but it's on my wish list! Also, on the drive home I saw a western marsh harrier near the Saudi Aramco Half Moon Beach.